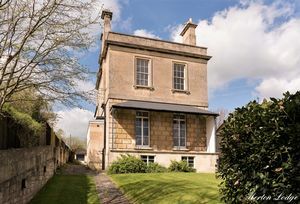 TYNINGS are an award winning agent situated in the picturesque village of Combe Down, on the southern fringes of the Roman city of Bath. 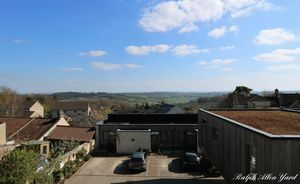 We offer residential sales, lettings and property management services across the city of Bath and surrounding villages. 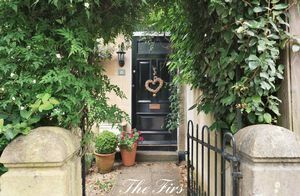 As a local independent agent we understand that properties are as individual as the people who live in them and provide a tailored, personal and professional service to all our clients. You will find our approach refreshingly different and highly recommended, with a compassionate and friendly manner to accommodate all your requirements. Whether you are looking to buy, sell or rent in Bath, or the surrounding villages, then consider us your local agent. Click the tab at the foot of the page to chat to us live. Click above to open in a new window. "TYNINGS combine unflappable experience and professionalism with a warmth and humanity which really helps reduce the stress of buying a house. Unlike big brand agencies, Nikki and Ben come across as actually caring about all the people involved in the process, not just the ones paying the fee. Their local Bath knowledge and passion is unparalleled, genuinely the best estate agency I’ve ever worked with." "I wasn't looking forward to selling my mother's property. Nikki and Ben were really supportive, they understood how to match buyers with sellers and they sparkled with integrity. They were SO helpful. Thanks SO much." "Everything about Nikki and Ben at TYNINGS is outstanding. Their experience, market knowledge, professionalism and attention to detail is second to none. And above all their other qualities, they are an absolute pleasure to deal with." "An excellent, personable service from Nikki and Ben at TYNINGS. Efficient and friendly, with a depth of local knowledge and connections that appear to be unrivalled. We would certainly come back for repeat business." "During our 8-month search for a very specific property Nikki and Ben assured us that they would find us the right property, and they were true to their word. Nothing is too much trouble and it is a pleasure to work with a local independent agency." "I would definitely recommend this company. Not only did they manage to sell our house within a few weeks, they also found us our dream home just a few weeks later. Ben and Nikki understood exactly what we were looking for." 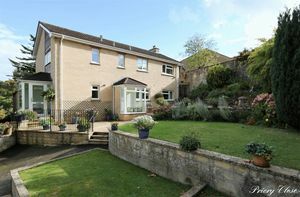 "Brilliant company, utterly professional, know the Bath property market inside out. Kept me fully informed throughout the recent process of both selling and buying. Nikki goes the extra mile. Love the fact that TYNINGS is a local independent agency." "When I purchased my house, I had a wonderful support by TYNINGS. I felt their service = heart, this was identical to a customer service of Japan and was very impressed. They are professional and very kind, and the company marked top as while I experienced it in the U.K. for 18 years." "TYNINGS are a local, independent estate agents who we have used to both buy and sell with. Moving can be very stressful but TYNINGS calm, professional and friendly approach made it much easier. They're an excellent team and truly care about their clients. We wouldn't hesitate in recommending them." "We sold our house through TYNINGS in record time, and at the top price. Their service was outstanding - both thorough, and personal to our situation. They took the instruction on Monday, photographed it on Tuesday and sold it for full asking price on Wednesday! I cannot speak too highly of Ben & Nikki." Right from the outset we found TYNINGS to be so keen and helpful. Ben and Nikki are a great team providing a very genuine personal service. Regular contact with Nikki just before exchange saved pestering our solicitors and also provided reassurance. I can't recommend them highly enough!" "We could not ask for a better service, professional yet personal. 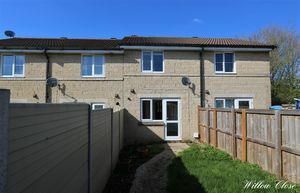 We saw, we offered, we moved in - all within 5 and half weeks, need I say more." "Nikki and Ben sold my house before the details came out! Excellent, professional, friendly service right through from beginning to end, nothing was too much trouble. I've never received such outstanding service from an estate agent before. I would highly recommend them and would certainly use TYNINGS again." "They really are unlike any other estate agent we've dealt with in terms of their problem-solving abilities and relationships with solicitors, builders and other agents. I wouldn't use any other agent now." "Their knowledge of the area is extensive and they have built a loyal following of clients over the years. They really listen to what you need and go above and beyond keep the sale moving and as stress free as possible." "TYNINGS made the whole house buying process a breeze. From offer through to completion they were open, HONEST and professional during the entire process. If we ever sell in the future - we will be knocking on their door!" "I was dreading selling my Mothers home, you made it more than bearable. Your kindness, empathy, knowledge and skill have meant so much. I wish you a glorious future."